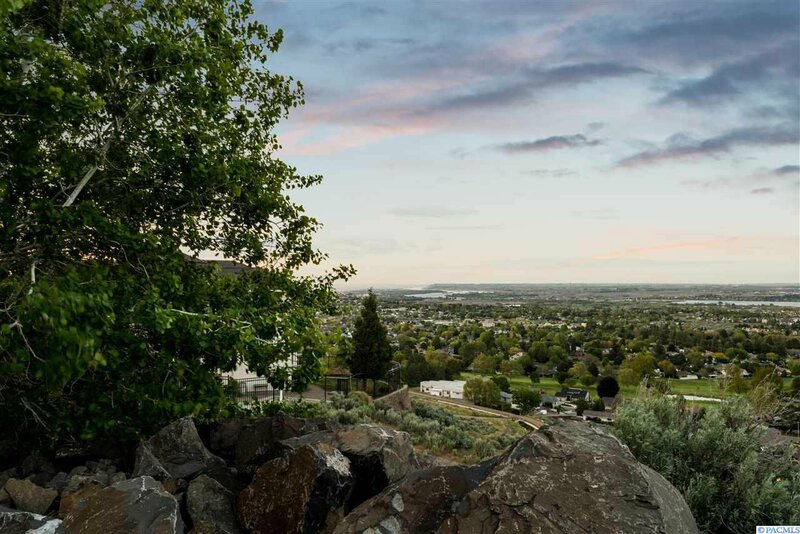 Nestled in the heart of the Tri-Cities on the south side of Little Badger mountain, rests a home of unmatched elegance and exclusivity. 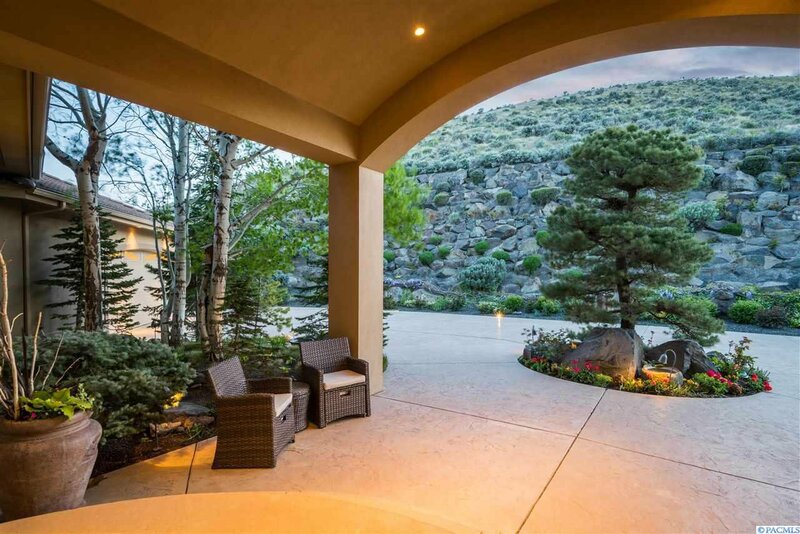 As you travel up the private driveway, a remote controlled wrought iron gate opens to reveal a Feser-built home that is surrounded by nature. 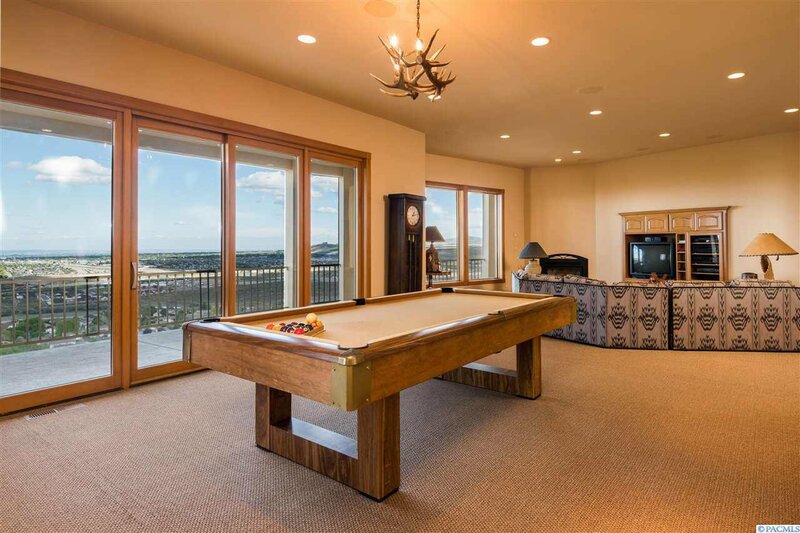 Two, 2 car garages on both sides of the house and an additional large concrete pad. 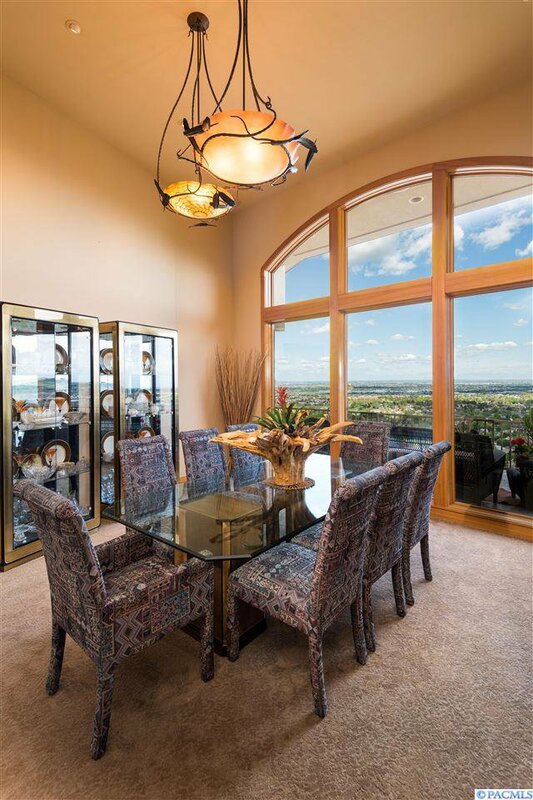 As you pass through fifteen-foot, custom leaded glass doors, you are awestruck by views of the Blue Mountains, Meadow Springs Golf Course, & the Columbia River. If you look to your right you will see the weather rolling in from the Horse Heaven Hills; look left, and you will see the Hanford Reach. 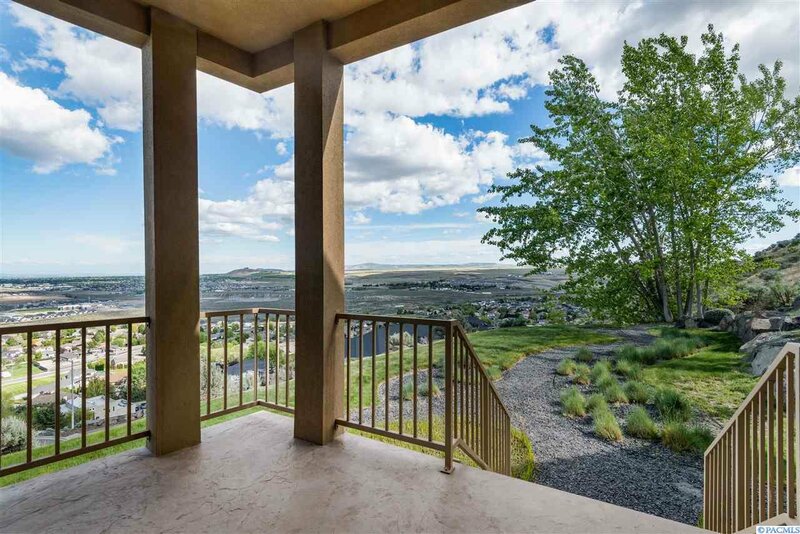 There isn’t a home in the Tri-Cities that is so centrally located with such a panoramic view of the area. 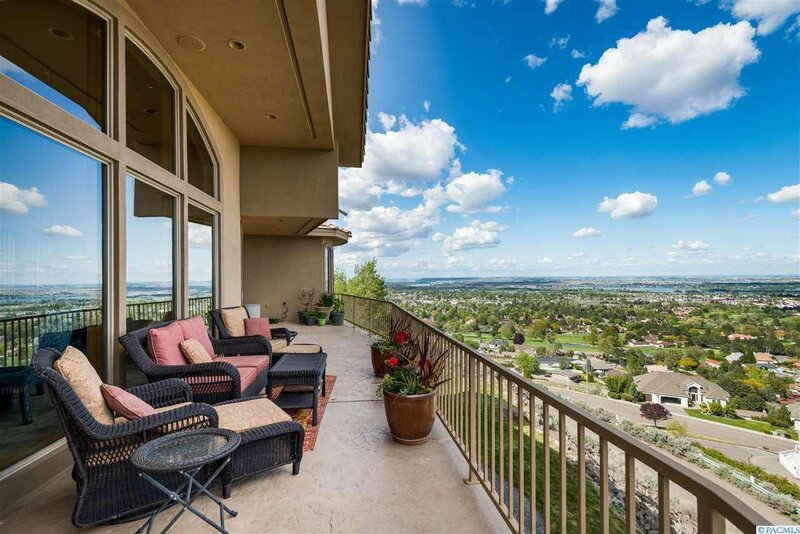 The entire back side of the house is lined with 6 different decks with custom iron railings. 1,200 square feet of natural slate is found on the main floor. 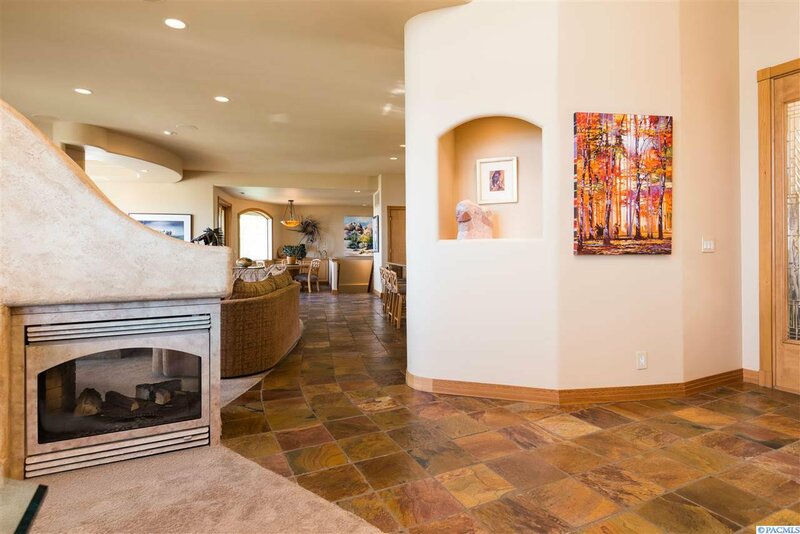 Enter the master suite through double doors & you’re met with a circular light display that’s painted in all the glorious colors of the desert. 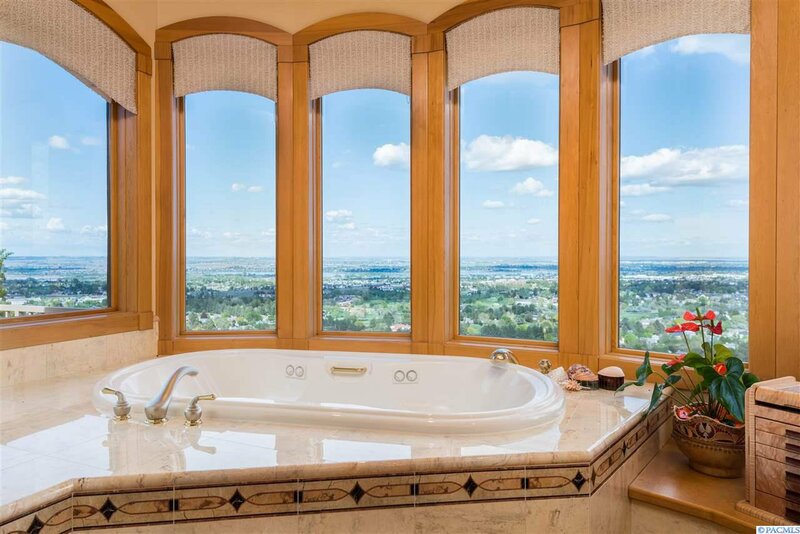 The master bath has multiheaded showerheads & a jacuzzi tub. There is an oversized walk-in closet. The large kitchen has 2 ovens, 2 dishwashers, a 6-burner stove, compactor, ample pantry & large central island for prep and serving. Custom cabinetry throughout the house. 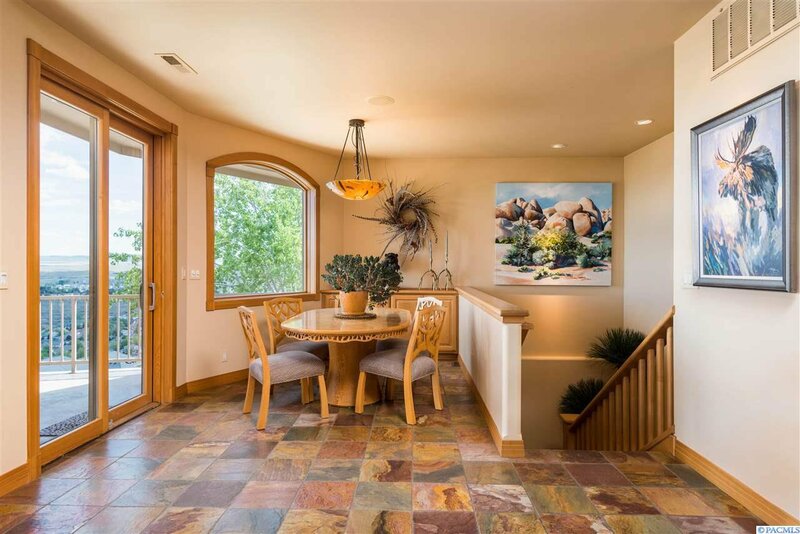 Every aspect of this home’s design was meant to coexist, and the result is a feeling of warmth and comfort that can only be appreciated in person. 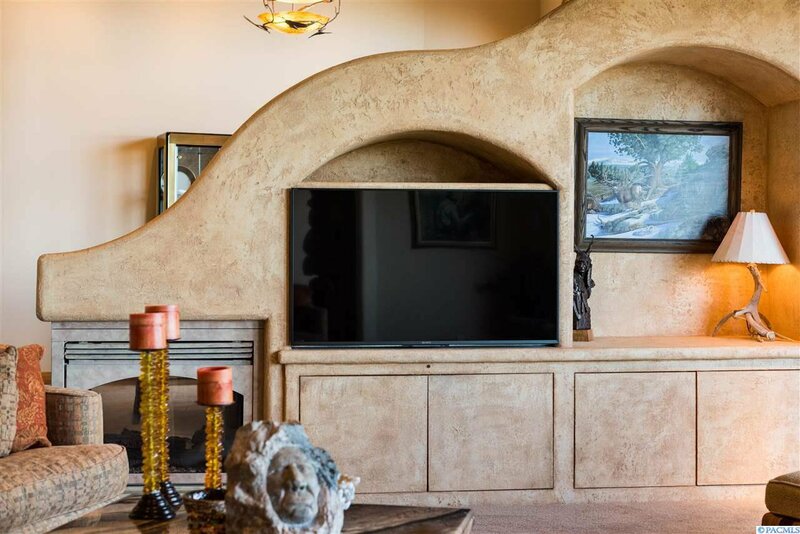 3 fireplaces that keep it warm during the coldest winter storms. 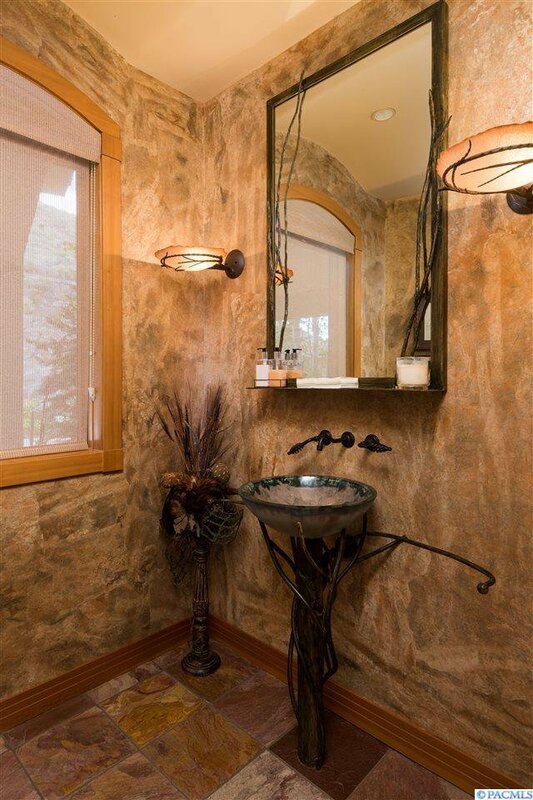 There are custom bronze light fixtures with Dale Chihuli inspired glass designs throughout the home. 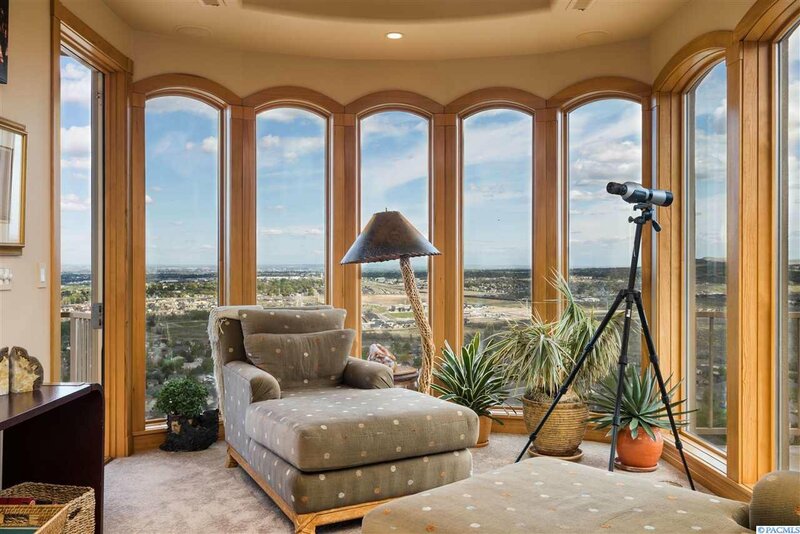 Inspiration and comfort have rarely been so perfectly blended together in a residence. 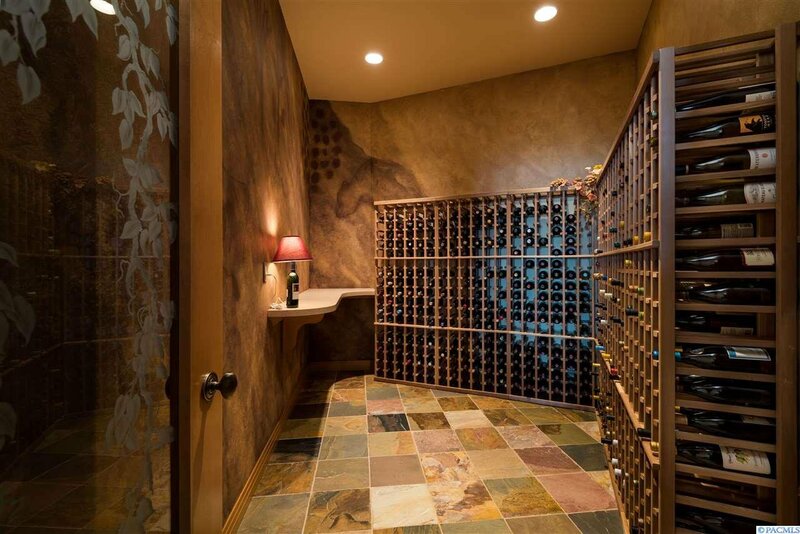 As you walk down the stairs you are met with a full wine cellar that is decorated to mimic ancient cave paintings in southern France. 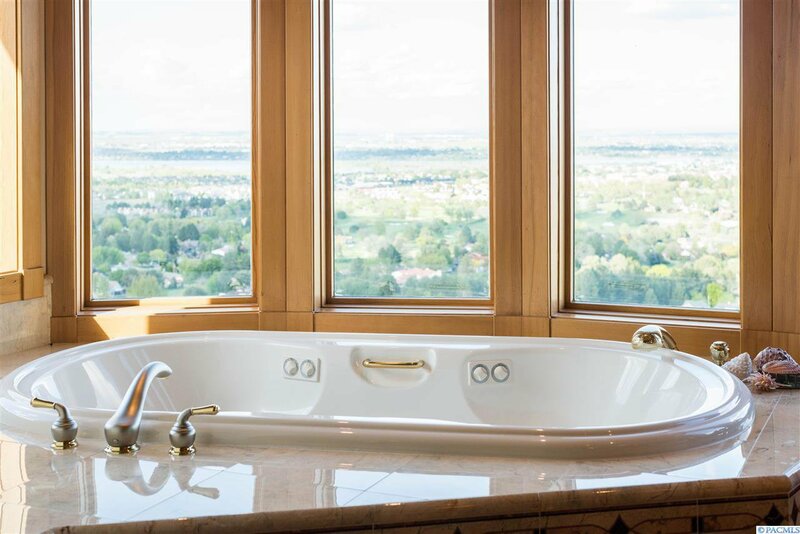 The lower level has 2 master suites with their own full bathrooms; including a sauna/steam shower. There is also a mini kitchen located in the lower section which is prefect to accommodate multi-generational living. There are 2 concrete storage rooms on both the south and north sides of the home which provide more storage space than you would ever need. 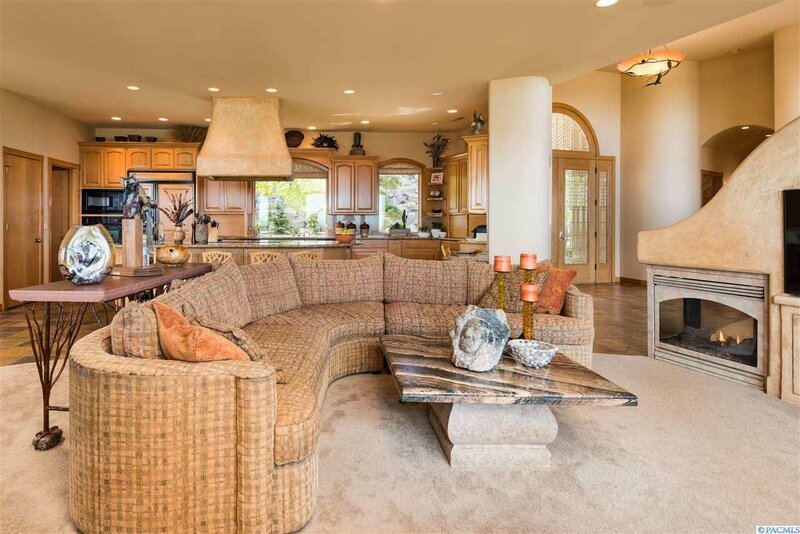 Words & even photos cannot capture the magic and warmth of this one-of-kind home set on 1.3 acres. 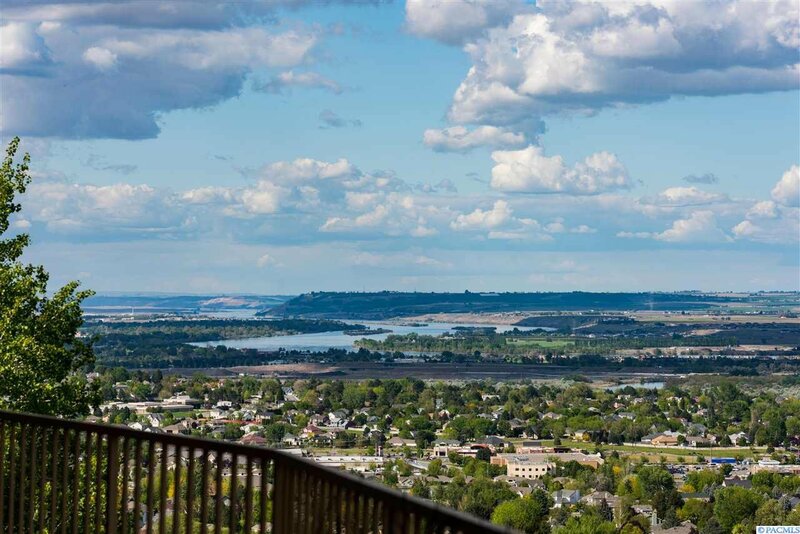 You will feel miles away from the city but will be so centrally located that you are right in the heart of the community.